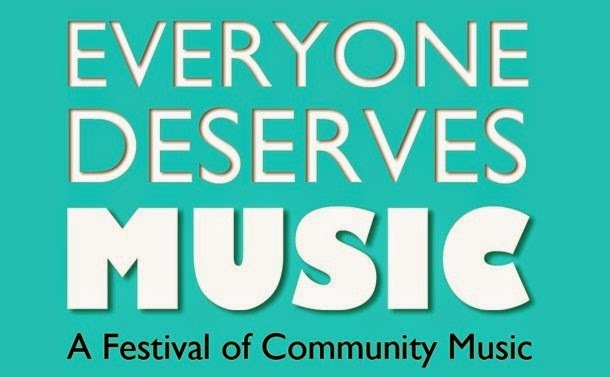 The Sage Gateshead is holding its second annual festival of community music, Everyone Deserves Music, between April 26th and May 16th. The festival will feature performances by acoustic singer-songwriters, bands, projects involving worship music and fundraising concerts, as well as symposiums and seminars on the provision of community music. As a home for musical discovery and education, Sage Gateshead has been at the forefront of community music providing music-making sessions to over a million people in more than 1,000 places across North East England and reaching another million learners throughout the country through three national music education partnerships. The festival is aimed at everyone working in the field – from individual music practitioners through to community organisations, schools, commissioners and funders – this is a chance to explore community music at its most valued. For the full line-up of performances and events, see the Sage Gateshead Everyone Deserves Music page.